Omaheke is one of the thirteen regions of Namibia and lies on the eastern border of Namibia which is the western extension of the Kalahari Desert. The name Omaheke is Herero for Sandveld and it is here, east of Gobabis, where Harnas is situated. Harnas Wildlife Foundation is the longest running wildlife rehabilitation centre in Namibia. Since the establishment of Harnas over 30 years ago, they have developed a very successful international foundation that supports their causes and passion for conservation. Harnas Wildlife Foundation focusses on the establishment and upkeep of safe zones for animals captured or expelled from encroached environments, as well as the rehabilitation and care of sick, injured or abandoned animals. They strive to give animals a second chance at life, by rehabilitating and releasing them back into their natural habitat or caring for the ones that will not survive in the wild. Harnas believes that people and animals are equally entitled to lead a life without negative stress like hunger and pain. Throughout the years, population numbers of animals like lions, cheetahs, wild dogs and other species have plummeted, but with its rehabilitation projects Harnas Wildlife Foundation makes a difference by releasing capable wild animals into safe wildlife parks of Namibia. Coffee station & Mini Bar, air conditioner, two 3/4 beds, en-suite bathroom with bath, shower & toilet, game viewing possibility. 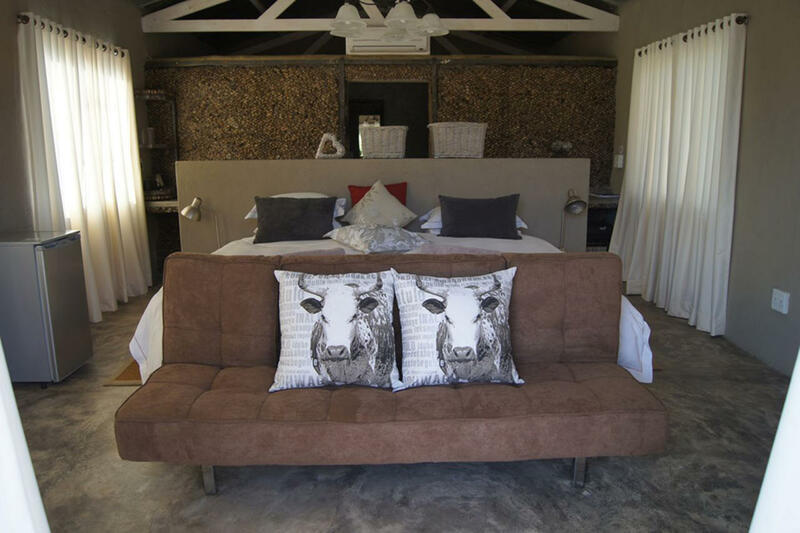 Coffee station & Mini bar, air conditioner, two ¾ beds in front room and 4 single beds in back room, en-suite bathroom with bath, shower & toilet, game viewing possibility. 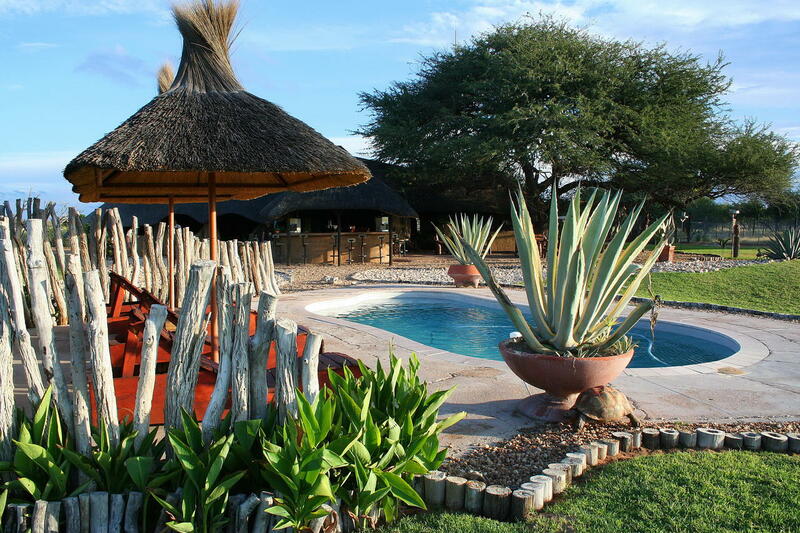 Coffee station & Mini bar, air conditioner, two ¾ beds, en-suite bathroom with shower & toilet, game viewing possibilities. Coffee station & Mini bar, air conditioner, two single beds, en-suite shower .